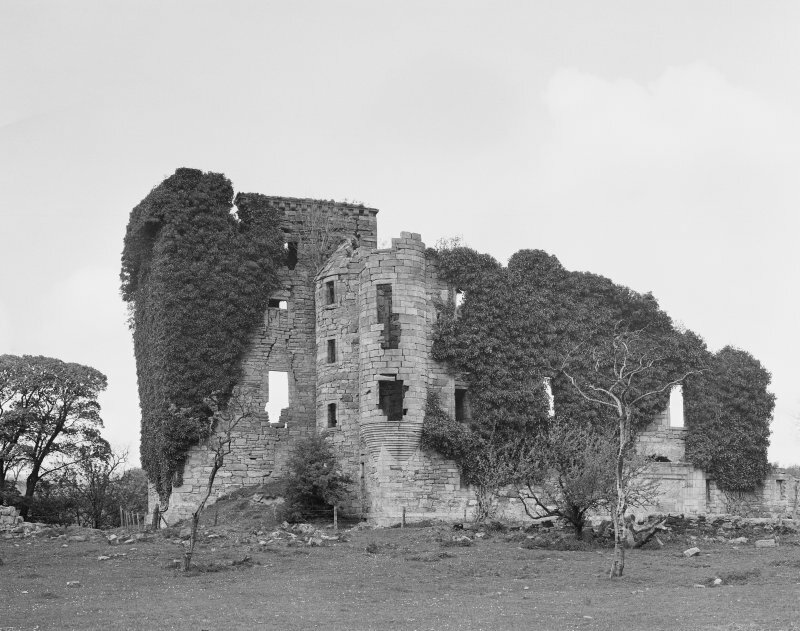 Kilbirnie Castle. 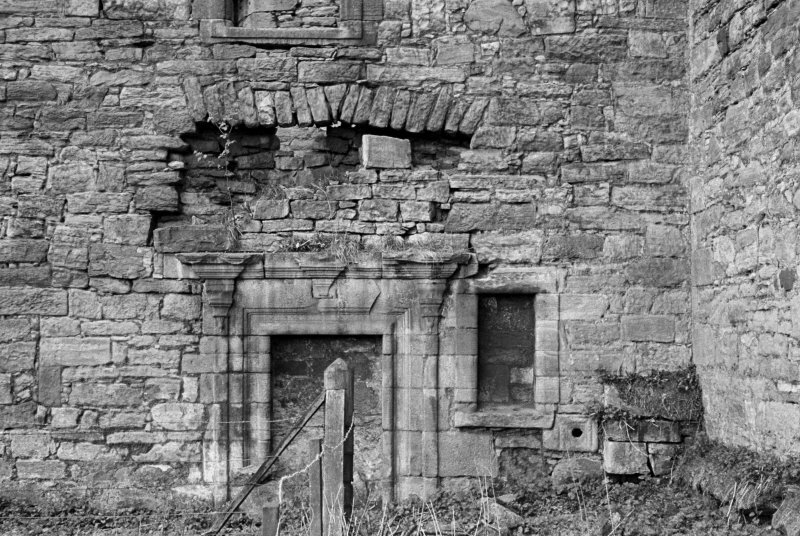 Detail of S side of blocked up doorway. 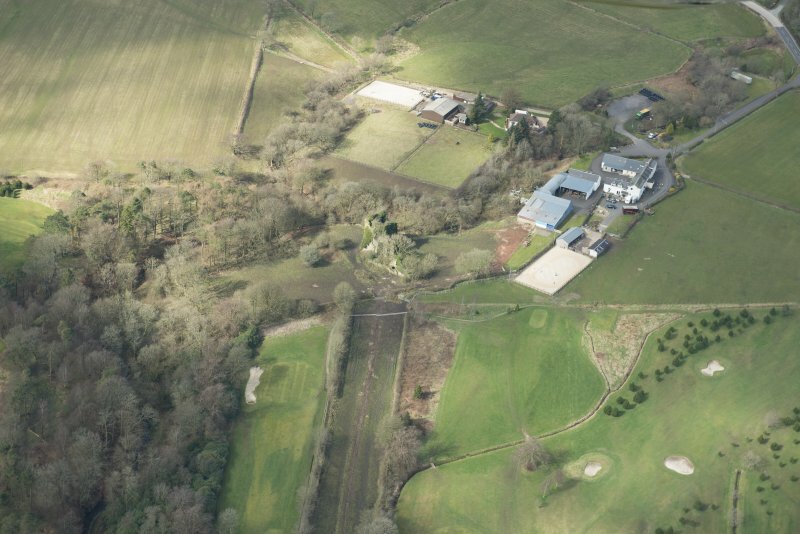 Oblique aerial view of Kilbirnie House, looking WNW. 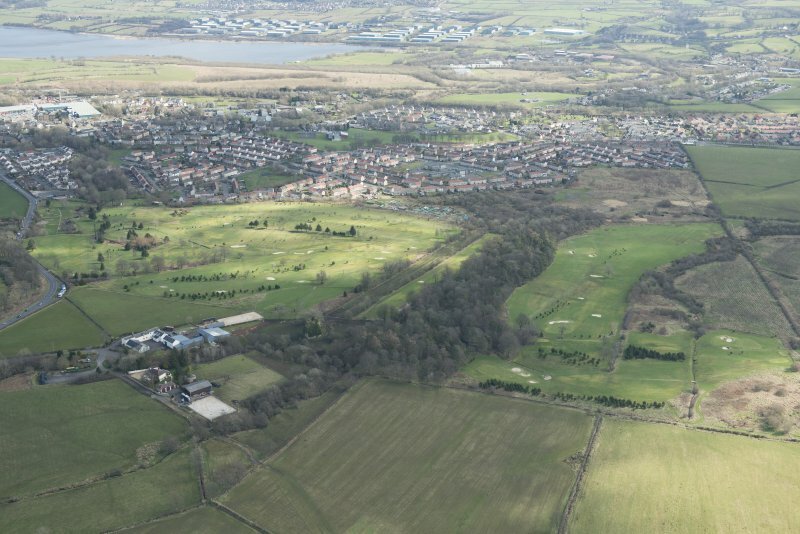 Oblique aerial view of Kilbirnie Place Golf Course, Kilbirnie House and Place farm, looking SSE. 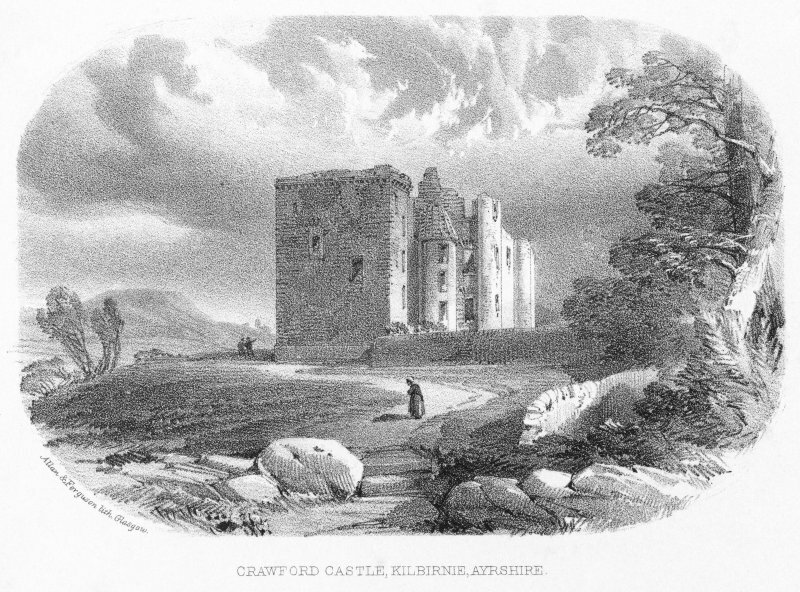 Digtal image of engraving, inscribed 'Crawford Castle, Kilbirnie, Ayrshire'. 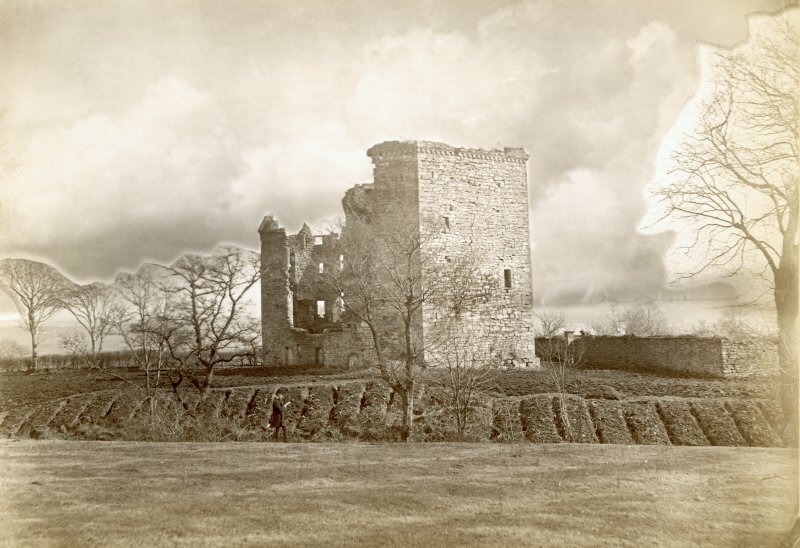 Historic photograph showing general view of castle from North-West. 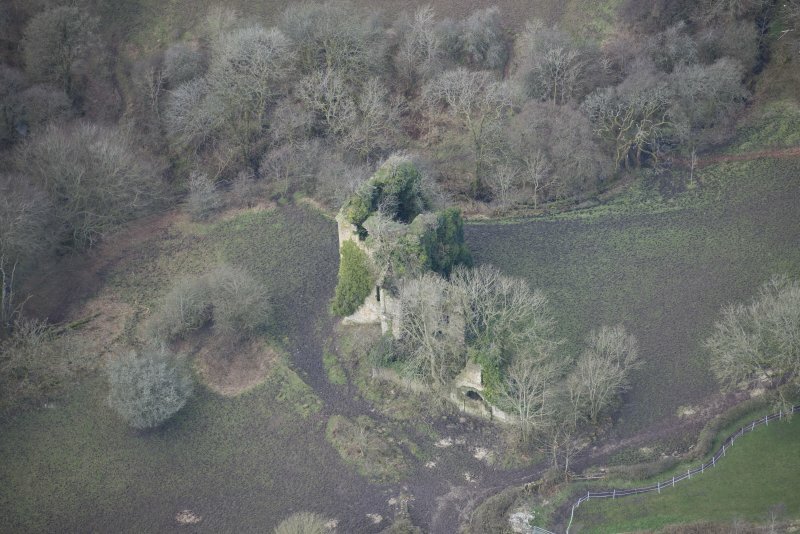 Kilbirnie Castle. General view from S.
Oblique aerial view of Kilbirnie House, looking NE. Oblique aerial view of Kilbirnie House, looking WSW. Kilbirnie Castle. Detail of blocked up doorway on N side of angle of tower. 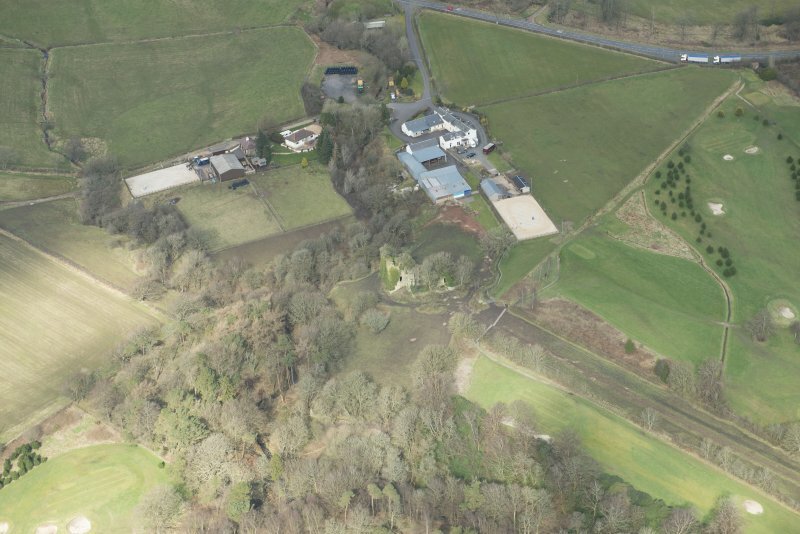 Oblique aerial view of Kilbirnie House, looking W.
Oblique aerial view of Kilbirnie House and Place farm, looking S.
Kilbirnie Castle. View of interior of main block from NE. 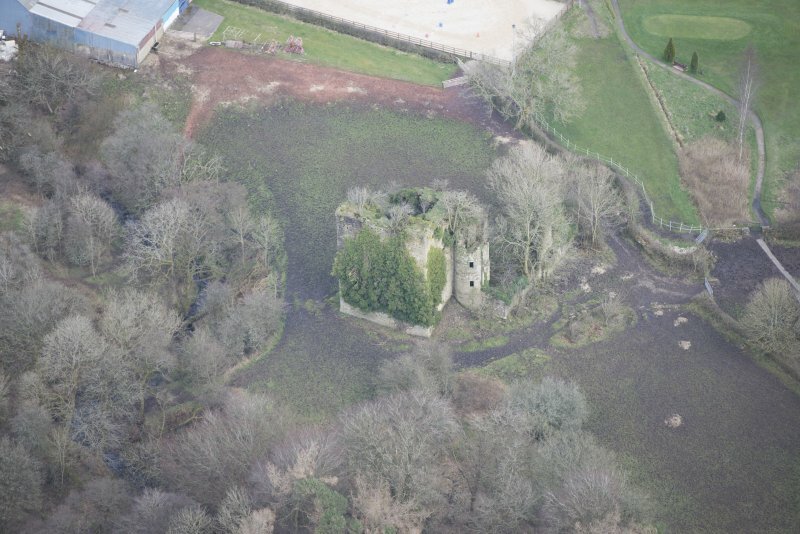 Oblique aerial view of Kilbirnie House, looking NNE. 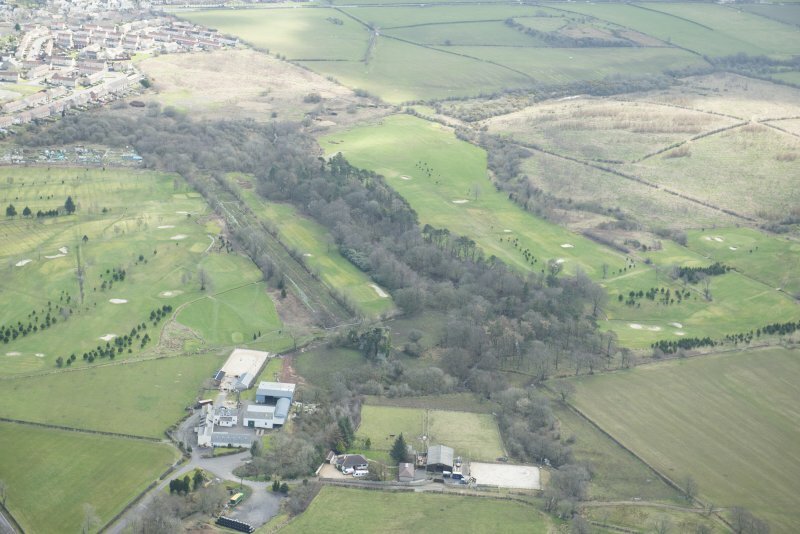 Oblique aerial view of Kilbirnie House and Place Farm, looking NW. 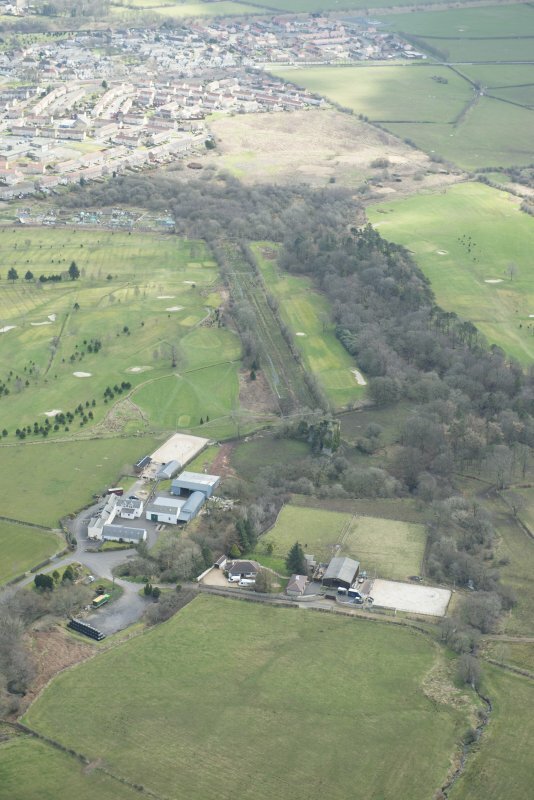 Oblique aerial view of Kilbirnie Place Golf Course, Kilbirnie House and Place farm, looking SW.
Kilbirnie Castle. General view from SW.
Kilbirnie Castle. 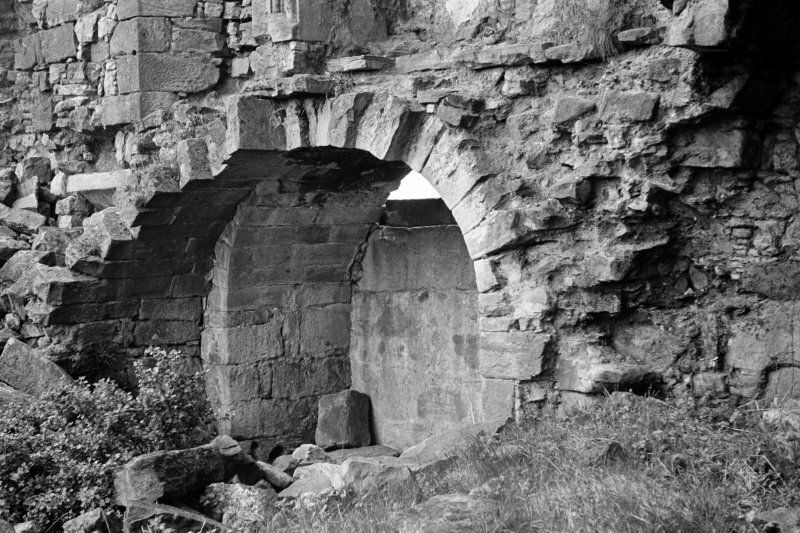 Detail of back (S side) of closed arched doorway. Kilbirnie Castle. General view from NE. Oblique aerial view of Kilbirnie House, looking NNW. The Place of Kilbirnie is much dilapidated and neglected. The buildings are of two distinct periods - a late 15th century keep and additional 17th century buildings. 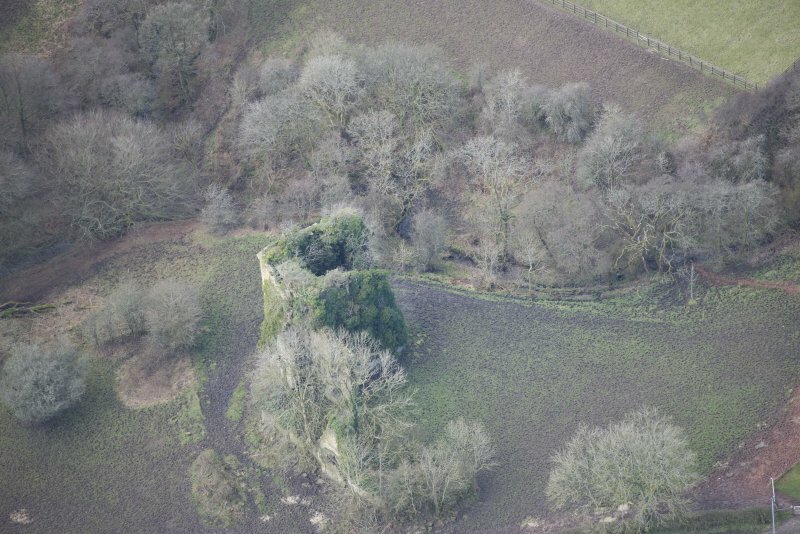 The keep, at the NW corner, measures 42ft by 32ft 7ins. with walls 7ft - 8ft thick. It is four storeys high and has two vaulted floors. It is thought to have been built about 1470 by Malcolm Crauford (J Bryden 1908). 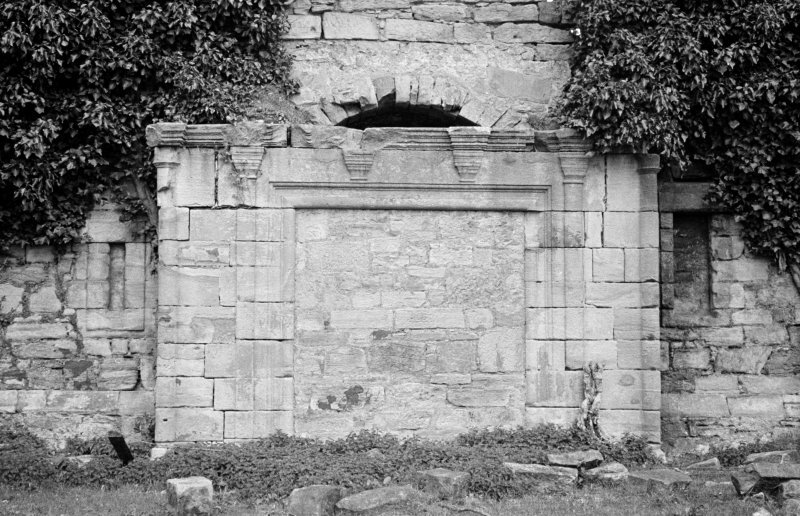 The addition, made by John Crauford about 1627, is an oblong building 74ft 4ins by 25ft 3ins, unusually the entrance is within a projecting porch. 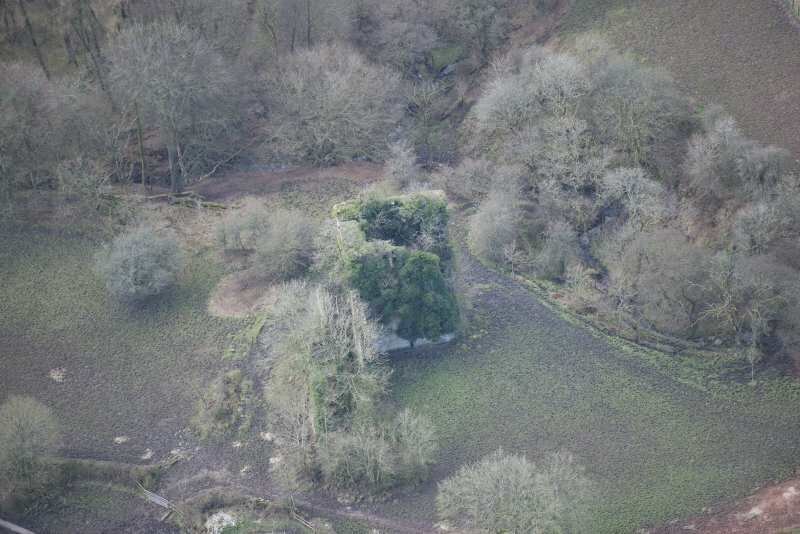 Projecting from the keep on the N are ruins of an oven and other buildings. 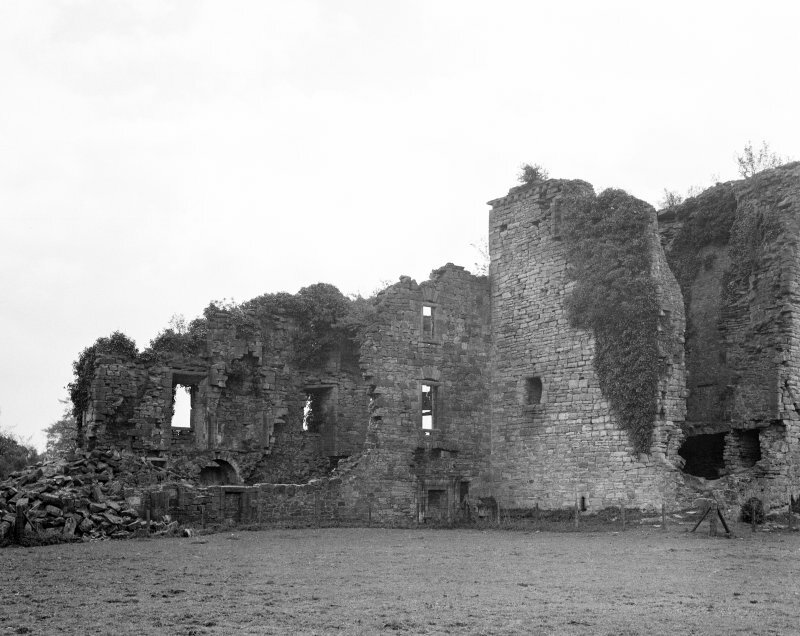 The building was burned down in 1757 and allowed to become derelict. Kilbirnie House is generally as described and is in a fair state of preservation. 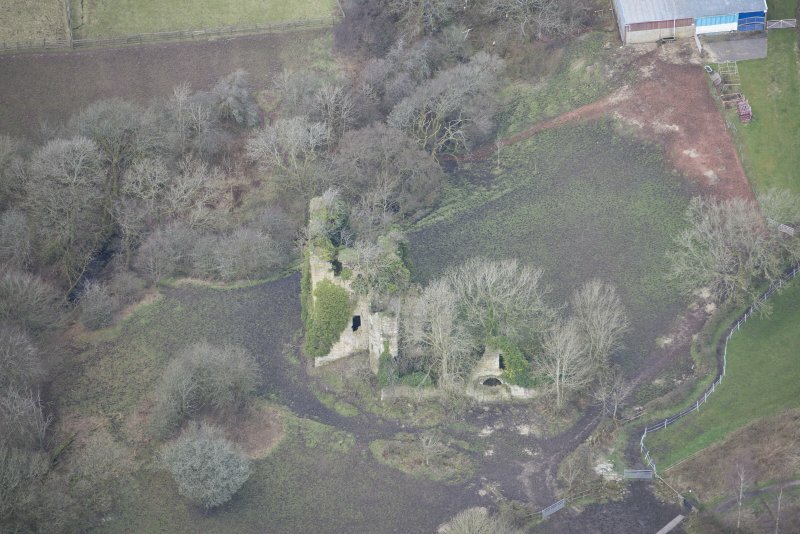 The most southerly turret and a large part of the 17th century building have now fallen; otherwise Kilbirne House is as described. 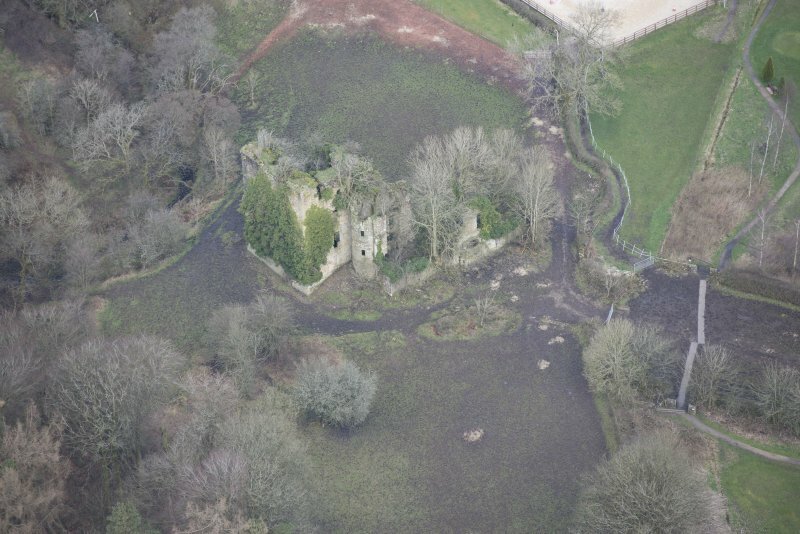 The 15th century keep is in a stable condition and appears to have deteriorated little since the report of OS (DS). 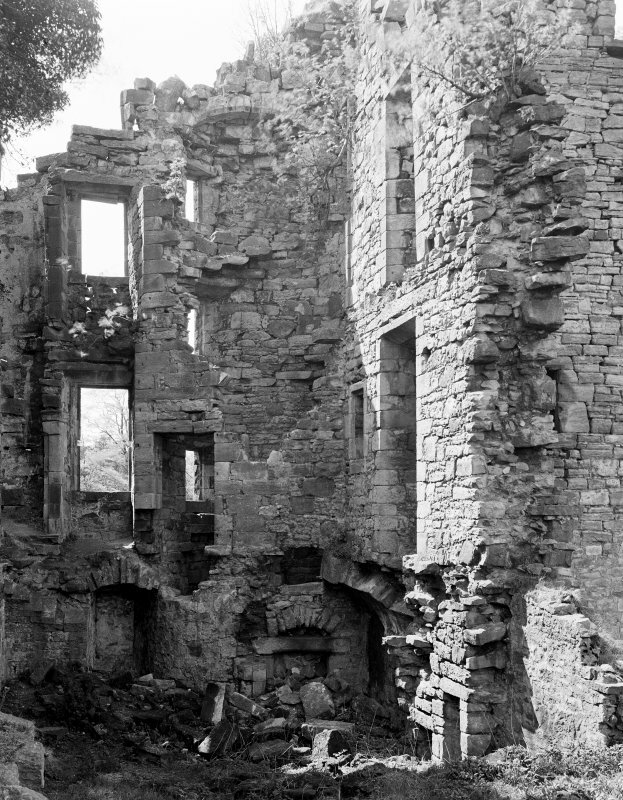 What little remains of the 17th century hall is in a dangerous state. Just to the S of the hall are the remains of a possibly contemporaneous walled garden, divided in two, and now featureless and pastured. In the SW the subsantially- built rubble walling remains some 4m high. Visited by OS (JRL) 13 December 1982. Non-Guardianship Sites Plan Collection, DC28061- DC23063, 1938. 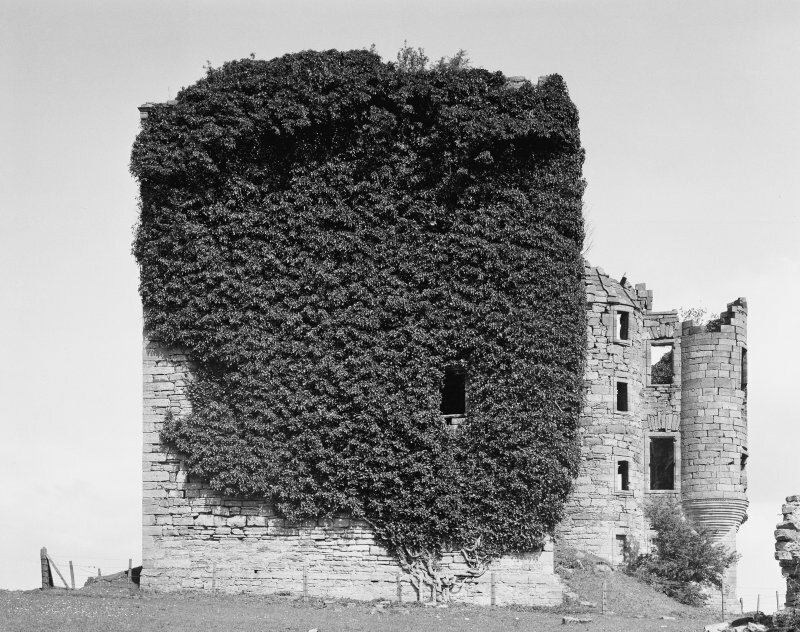 Photographic survey by the Scottish National Buildings Record in September 1960.